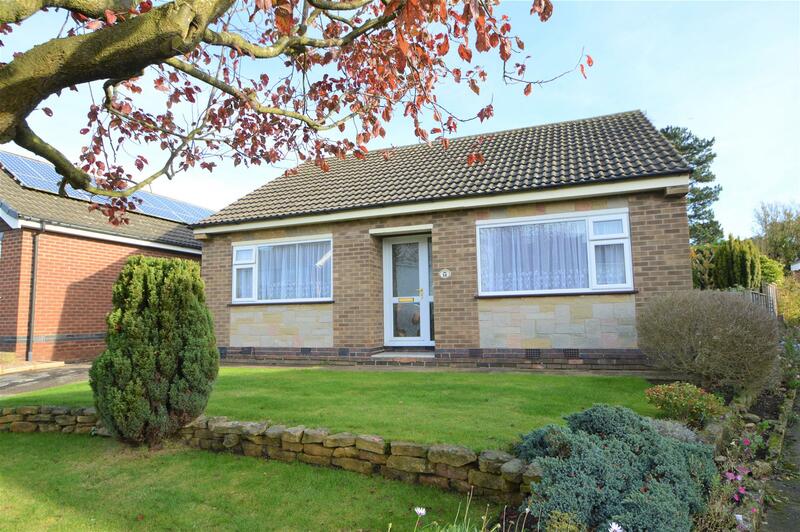 Benjamins welcomes this two bedroom detached bungalow to the market. This property is situated in the well-established and popular residential village of Keyworth, with convenient location within walking distance to the local amenities including, shops, schools, sports facilities and public transport services. The property comprises a detached two bedroom bungalow, offering; Fitted Kitchen, Bathroom with separate toilet, Living Room, Two Double Bedrooms, front garden with driveway and garage. Gas Central Heating & Double Glazing. Having UPVC double glazed entrance door, telephone point, single light fitting, radiator, loft hatch, carpet. Large double glazed sliding patio door onto the rear garden, small double glazed bay window to the side aspect, electric fire, radiator, television point, central light fitting, power sockets, carpet. Having a range of wall and base units, roll top work surfaces,1£ bowl stainless steel sink with drainer, mixer tap, tiled splash backs, space for washing machine, dishwasher, gas central heating boiler, radiator, breakfast bar, UPVC double glazed window and door onto the rear garden. UPVC double glazed window to the front aspect, built-in wardrobes and dressing table, radiator, ceiling light, carpet. UPVC double glazed window to the front aspect, pull down bed in fitted storage cupboard, radiator, ceiling light fitting, power sockets, carpet. 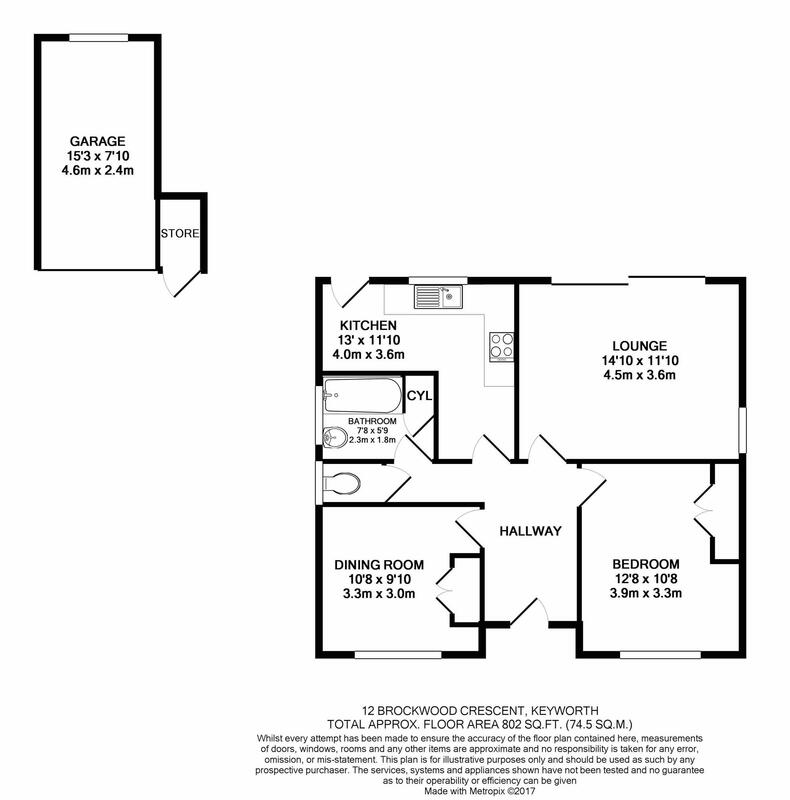 Bathroom with fully tiled walls, panelled bath with electric shower, wash basin and built in storage cupboards, radiator, airing cupboard with cylinder tank, frosted window to the side of the property. Separate toilet with fully tiled walls, grab rail, radiator and window to side aspect. Fully enclosed rear garden, paved patio area, planted flowerbeds, shrubs, fruit trees and greenhouse. Gated access to the side of the property to the garage, store and driveway. With up and over door, store cupboard attached to garage with door, electric light and power.